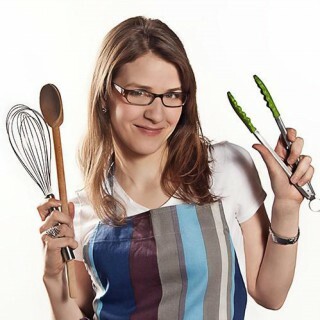 The Organized Pantry, a blog by Lauren McGill featuring recipes, meal planning, kitchen organization and more. I’m Lauren and I love kale, mason jars and green smoothies. I’ve been serious about clean eating for over 7 years and I love creating tasty new dishes. I’m also a bit of a neat freak and really like an organized kitchen! The Organized Pantry is my place to share my favorite clean eating recipes and organizing tips. Swing by for a visit anytime! It’s so easy to get discouraged by a hectic day or an empty fridge and throw in the towel on clean eating goals. Hello sugary, icky convenience foods! BUT- what if you made smoothes your convenience food? You can make them out of almost anything and they’re super fast to make. And… they’ll fill you up with good, good stuff. Smoothies are one of the #1 tools I use to stick with clean eating. They help me pack in more vegetable servings into my day without really noticing. (Because salad and I have an iffy relationship.) Some of my favorite veggies to add are kale, swiss chard, spinach, and today- beets! I’m pretty psyched about today’s smoothie recipe, let me tell you. I love smoothies of all kinds, but this vibrant and energizing smoothie stands out as a mega favorite. I feel supercharged after drinking it- like caffeine but without the jitters! 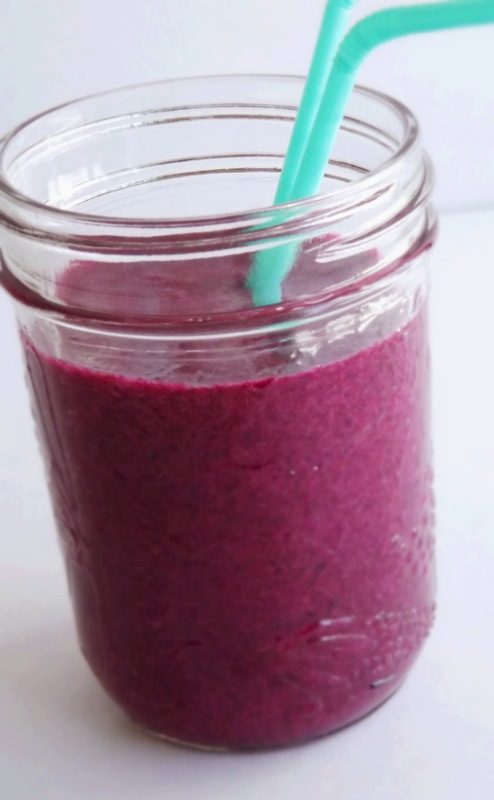 The gorgeous color of this smoothie reminds me of fuchsia lipstick. It’s almost too pretty to drink- but the smell of berries and bananas is sure to tempt you. It tastes very tart and puckery with a hint of creamy sweetness added by banana and honey. The roasted beet give it an earthy undertone. 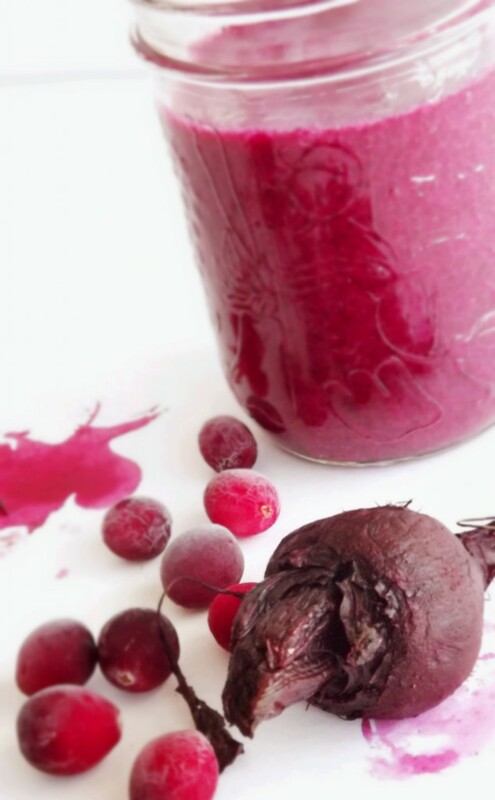 This smoothie also boasts many health benefits: Both beets and cranberries are loaded with antioxidants. 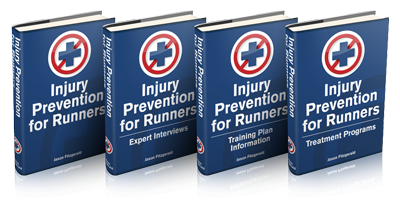 Pure cranberry juice (the kind we’re using here) is reported to help prevent and treat recurrent UTIs. If you’re trying to sneak extra cranberries into your health regime, this is a great way to do it! A warning: this smoothie isn’t for the faint-hearted. It is very, very tangy. (And I LOVE it!) But if you don’t like very tart smoothies, just add an extra banana and swap the raspberries for strawberries. Place all ingredients in blender and blend until thick and creamy. Taste and adjust according to your preferences. 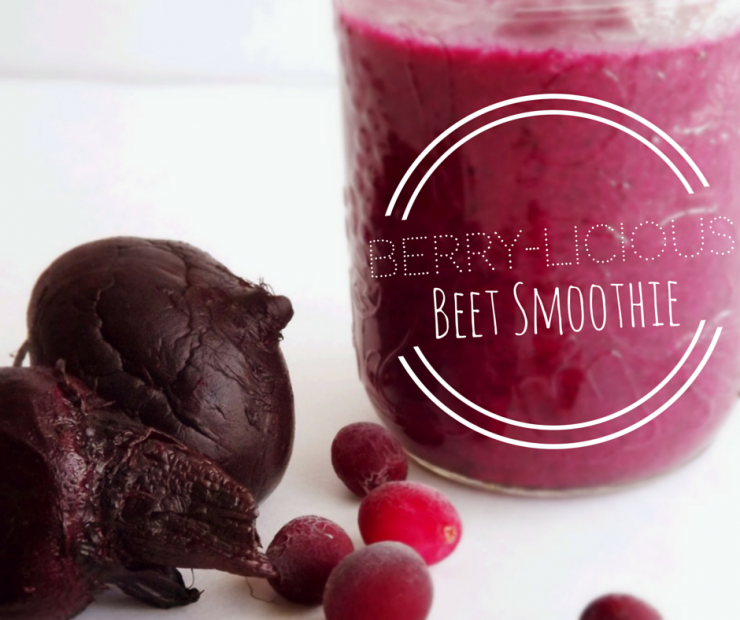 A Berry-licious Beet Smoothie Recipe today from @OrganizedPantry that you will love! 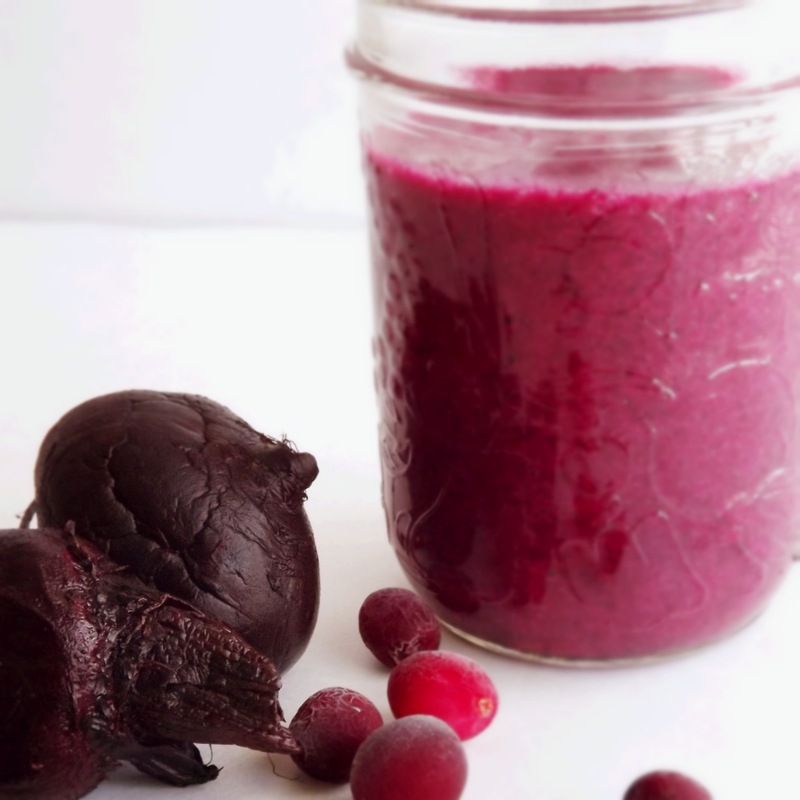 Have you ever used beets in a smoothie before? What kinds of smoothies do you like the best? Have you ever used vegetables in smoothie before? Thank you for sharing your wonderful recipe with us today Lauren. Be sure to hop on over to The Organized Pantry to check out more of what Lauren has to offer! Thank you so much Sandra for having me on the blog today! It was fun to add another recipe to your awesome smoothie collection. Bon appétit and happy running! Wonderful to have you! Gorgeous pictures and great recipe! Thank you for sharing your recipe with me and my readers! Would love to do it again sometime! By the way I love the new clean look of your blog! The timing here is great–just finished off my beet smoothie! I make them all the time and I use berries in mine, too. I love them and they are so good for you!